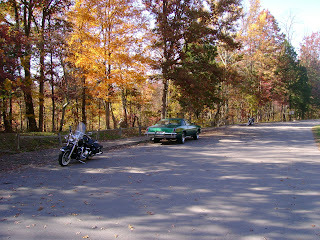 The guy in the green Cutlass was sitting in the woods reading a book (between my bike and his car, click on it). The next day his picture was in the Glasgow paper, "reading a book". Don't know who he is.